GOD OF ALL CREATION RULES AND DAY OF JUSTICE AGAINST EVIL, WICKEDNESS AND CORRUPTION IS EMINENT. Judge stays the lawyers’ travel ban and reinstatement of sacked top fraud squad cops is a victory for the people of Papua New Guinea. Crafty politicians and bureaucrats devise schemes giving the ruthless and totalitarian regime the competitive advantage over rival political opponents. When interrogated by the media, put on the brave face and front media with purported explanation stating letter does not link to PM or to say, sacking not politically motivated. 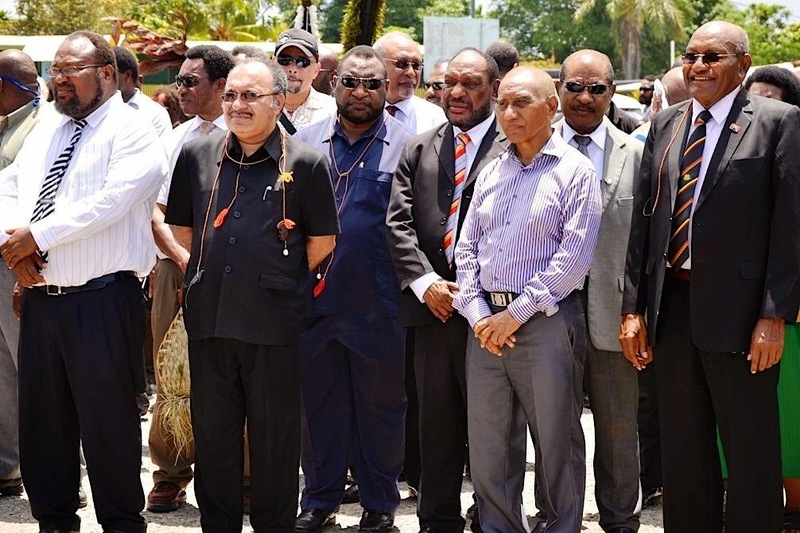 Events evolved raises lot of eye brows revolving around Prime Minister’s authorisation of K71.8 million payments of controversial legal bills to Paul Paraka Lawyers executed by Lieutenant James Marape. Apparently, actions of Manasupe Zurenouc, Gari Baki and Mataio Rabura have correlational causation and aren’t isolated events. Arrogant Zurenouc, Baki and Rabura aren’t speaking with clear conscience for their hands are dirty so to speak. Should the episodes we have witnessed unfolded in other developed economies, the tyranny of Peter O’Neil’s ruthless and totalitarian regime could have been dethroned long ago. However, taking advantage of ignorant people and intimidate MPs by withholding DSIP funds or giving drips and draps luring MPs to beef up numerical muscle to stay in power isn’t a sign of strength but a sign of weakness in totality. Such will not weather the storm and stay for long. A body representing a Christian church on record has referred the conduct of politician turned clergyman to the Ombudsman Commission for possible violation of leadership code and tenets of governance as reported on Post courier, Friday, 9th October 2015. The people, Christian or not, they are the creation of the almighty God. Politicians and bureaucrats, at all material time, must not cheat and serve the people through the elected office with contempt. Politicians and bureaucrats, in whatever capacity called to serve, you are placed in a position of influence to SERVE and NOT to be SERVED. You are to be the AGENT for CHANGE and not an AGENT for CORRUPTION. Highly regarded and mostly revered monarchy the world has ever known for being the wises king in the ancient era, King Solomon has said on record, what is abominable to God is, “HAUGHTY EYES, A LYING TONGUE, A HEART THAT DEVISES WICKED PLANS, A FALSE WITNESS WHO BREATHES OUT LIES AND ONE WHO SHOWS DISCORD AMONG BROTHERS” (Proverbs 6: 16-19). Does any of the above description fittingly describes the character of a government that does all of the above and host more not to serve but to be served? The sacking of top Economic advisor Paul Flanagan (as revealed by leader of opposition – Post Courier Friday 9th October 2015), decommissioning of Don P. Polye as Treasury Minister on controversial USB loan, revocation of appointment of police commissioners and assistant commissioners, revocation of merit based appointment of solicitor general, sacking of two fraud squad cops, banning of Australian lawyers and now questioning the role of Chief Magistrate of PNG. Above episodes are typical of heart that devises wicked plans, a false witness who breathes out lies and shows discord among Papua New Guineans. Reverting to previous comment about people are God’s creation, a minor prophet Zachariah says,…..“For whoever touches you touches the apple of His eye” (Zacc. 2:8). The implied message is, people are precious possession of God. Devising wicked plans in a bid to defraud the people, causing discord amongst comrades, telling lies time and again is contemptible in nature and is a crime against humanity. EVIL WON’T AND WILL NOT RULE THE DAY FOR LONG. FOR FAIRNESS AND JUSTICE SAKE, THE DAYS WILL BE SHORTENED.